At 9.6 km's Ellis has a +9:25 lead on Blatchford. Lisa Roberts has passed Piampiano for third but the pair are well over 20 minutes back of Ellis up front. Around 20 km's into the run,we have positions second through fourth within 90 seconds of each other. Limkemann continues to run in second, with Daerr one minute back while Sanders is now running in fourth just 30 seconds back of Daerr. Ellis has a +9:16 lead on Blatchford at 16.5 km's. Roberts is flying in third, +13:13 off the pace.. Piampiano is fourth, +18:02. 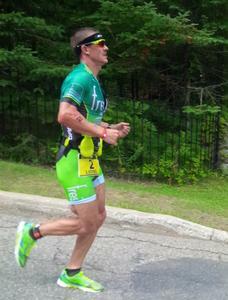 Rapp has run through 25.5 km's and there is no-one in the same Zip Code (Postal Code for Canadians) with the leader. Last report a few km's back the gap was well over 15 minutes to second. Rapp has another 10 km's to go with what looks like an insurmountable and clearly the race is now between Limkemann, Daerr and Sanders to scrap over the second and third place positions. Ellis has completed the first half of the run with a +8:56 advantage on Blatchford. No other women in sight. 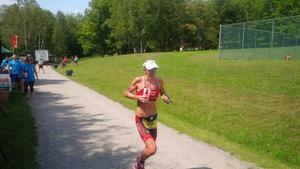 Rapp's lead at 31.7 km's was +17:55 on Daerr. Lisa Roberts has run through 21 km's in third, +18:07 back to Ellis. The running order at 31 km's in the men's race was Rapp leading, Daerr second +17:55, Sanders +19:02 and Limkemann in fourth +19:15. The two women out front have just gone through 25 km's. 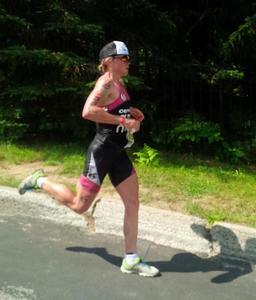 Blatchford has clawed back 52 seconds over the past 4 km's and now is now +8:04 back to Ellis. 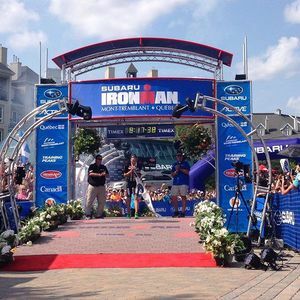 Rapp is within the last four km's of the run and on his way to another Ironman title with his closet rival over 18 minutes behind him. Roberts has just run through 25 km's in third, +15:44 off the the leaders pace. 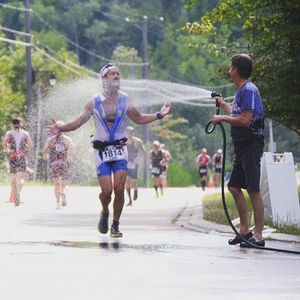 Rapp has struggled this year and this race performance today must restore his confidence and be totally rewarding for the hard working pro. 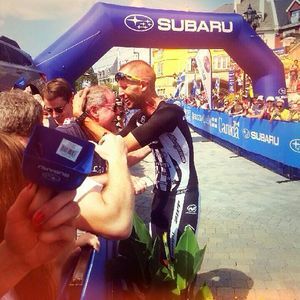 Jordan Rapp is the 2015 Subaru Ironman Mont Tremblant champion. Ellis has gone through 31.7 km's and Blatchford grabbed back another minute in the last 5 km's. Blatchford is now running +7:03 back to Ellis with about 10 km's to go in the race. 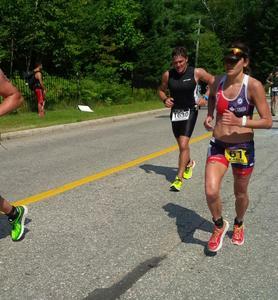 Roberts has run through 31.7 km's in third at +13:24 while Hering remains in fourth at +17:42. 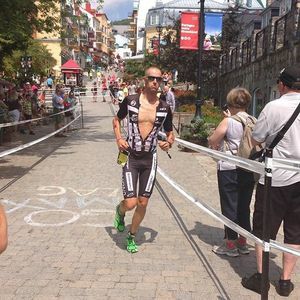 Daerr has captured second place here in Mont Tremblant with a 8:36:12 finish time while Ambrose crawled out of deep hole earlier in the run to grab a podium finish with clocking of 8:38:12. Ellis has just gone through 37.6 km's and we are waiting for Blatchford to come over the timing mat. 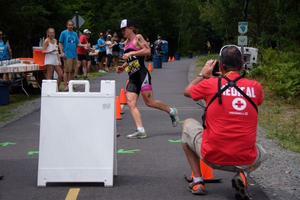 At 38 km's, Ellis has a +4:07 lead on Blatchford at 37.6 of the run. At 39 km's Ellis lead is now down to +3:40 on Blatchford. 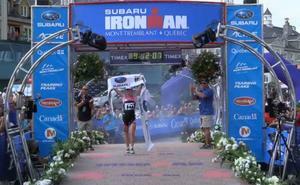 A gutsy performance today by Mary Beth Ellis is rewarded with the 2015 Subaru Ironman Mont Tremblant title.